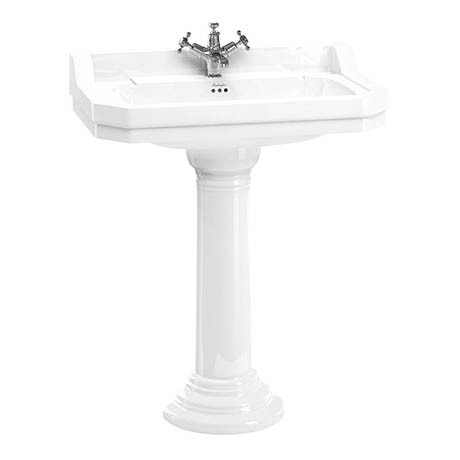 This Burlington basin features the extended height Regal Pedestal. The Edwardian Basin is beautifully designed, crafted and manufactured by the industry leading traditional brand Burlington. This Basin is available in a choice of 1, 2 or 3 Tap holes (1TH pictured), this option opens you up to be able to choose from the entire range of Burlington Taps.